During the colder months, homes that will be unoccupied for long periods of time should be winterized. When a winterized home is to be inspected, it must be dewinterized prior to the inspection. 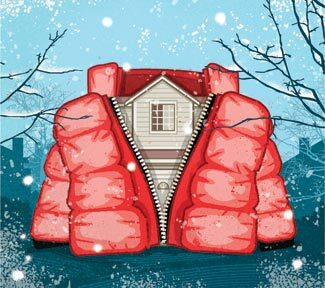 We guarantee all of our winterizations so long as we BOTH winterize and dewinterize the home. Air compressors blow water out of pipes. Water heater is shut off. Winterization pricing is based off the number of bathrooms (full and half) in the home. 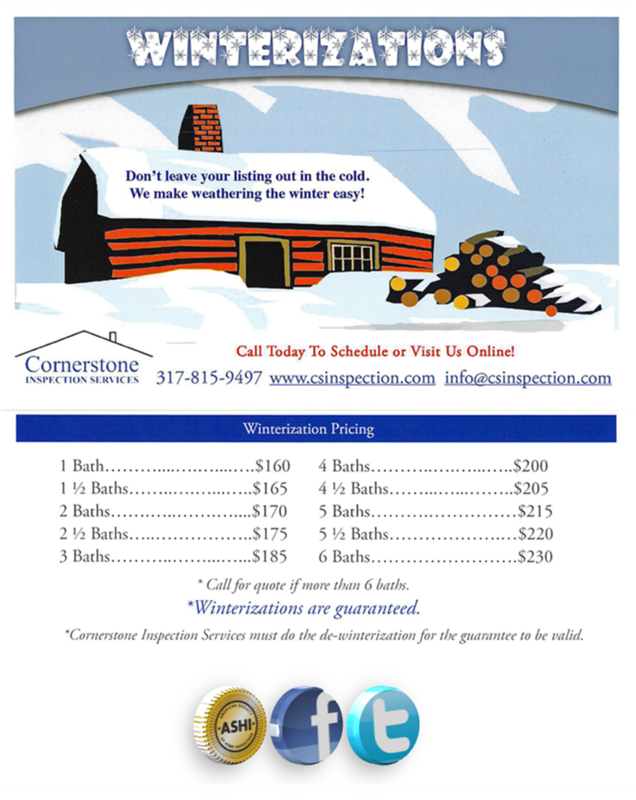 Click here to view our full winterization price sheet and flyer! **Price is based off ordering service with an inspection. Ordering a dewinterization alone without an inspection will result in a higher price.